About Kuraray and EVAL Europe N.V. The Kuraray Group consists of approximately 70 subsidiaries that employ over 8,000 people around the world. Kuraray is committed to developing new fields of business using pioneer technology that improves the environment and enhances the quality of life throughout the world. Their mission is to achieve what no one else can, for people and the planet. The world's largest producer of polyvinyl alcohol (PVOH) and ethylene-vinyl alcohol (EVOH) resins and films, Kuraray has production sites in Japan, the USA, Europe, Singapore, and other markets. 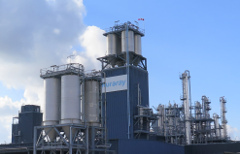 A leading developer of high gas barrier technology, Kuraray established EVAL Europe N.V., a fully-owned subsidiary in Antwerp, Belgium, for the production and sales of its EVAL™* EVOH barrier resins for the European, Middle Eastern, and African markets. Kuraray pioneered the production and is currently the largest producer of EVOH plastic raw materials, which are sold as granules for coextrusion and coinjection, and as monolayer films for lamination. *EVAL™ is a registered trademark of Kuraray Co., Ltd. 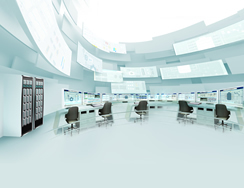 In 1999, Kuraray automated the first production line at its EVAL Europe site with a Yokogawa distributed control system (DCS), the Unix-based CENTUM CS. In 2004, this system was upgraded to the Microsoft Windows-based CENTUM CS 3000, and this latest DCS version was introduced on a newly constructed second production line. 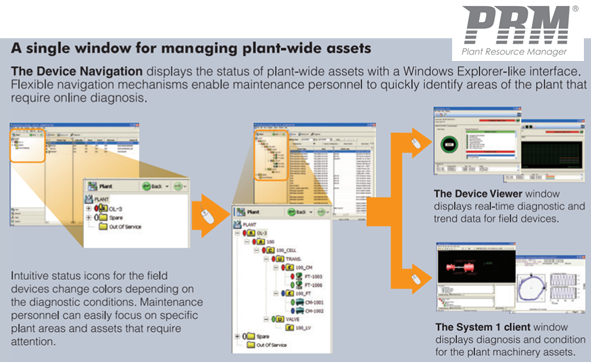 Yokogawa’s Plant Resource Manager (PRM) was also installed on this second line to manage approximately 400 FOUNDATION™ Fieldbus instruments. 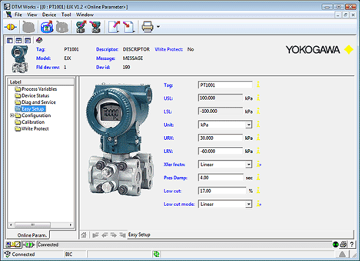 All the DCS controllers installed at this plant since 1999 have performed flawlessly, and Yokogawa has contracted with this company to provide lifetime support services until the year 2025. In response to the need to produce more EVOH, Kuraray began planning an expansion project with Yokogawa in 2014. The project aimed to expand production capacity. For this purpose, I/O had to be added and many modifications needed to be made to the original DCS. This expansion project was scheduled to be completed during a planned shutdown in 2016. At the same time there was also the need to upgrade the older hardware and software parts of the DCS to the latest revision to modernize the DCS. 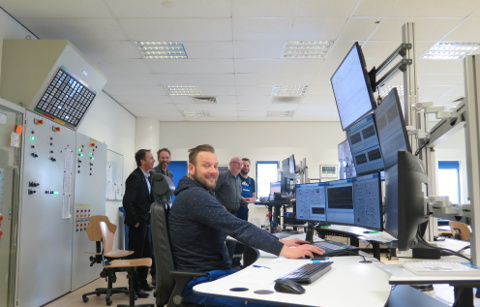 A key success-factor in the challenging mission of combining these two projects was the customer’s creation and maintenance of an instrument index, a central spreadsheet with detailed information on all the devices added or changed in the plant. The importance of this list could not be underestimated, as it basically held all the routing information needed to prepare and execute the complete project. For each tag number, there were 100+ columns of data, including information such as address, cable number, junction box ID, X-wiring ID, system cable ID, terminal ID, cabinet ID, rack ID, card ID, and channel number. As such, the complete routing for both the original and new configurations was documented. This worksheet was continually updated to reflect progress achieved during the project. With 100+ columns and 6,000+ rows, the spreadsheet represented the results of about two man-years of work. It provided the basis for the creation of “as built” loop drawings for more visual clarity, and served as a central reference document that could be used for multiple purposes like cabinet construction and X-wiring. An additional key success factor was the preparations that were carried out prior to the actual shutdown. These proved to be essential in completing this project on time. Everything possible was done to prepare for the actual shutdown. This involved not only creating a detailed turnaround scenario, but also preparing and testing all new hardware and software. 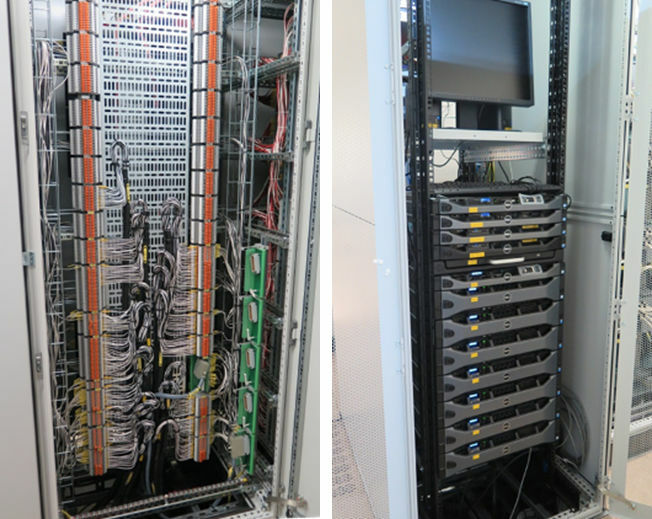 In addition, the physical location of the cabinets in the instrument room was carefully studied to optimize cable routing and maximize the re-use of existing field multicore and system cables. New system cables were prepared and installed in advance, and all cables were carefully labeled. Another key element in the modernization project was the reconfiguration of the instrument room. 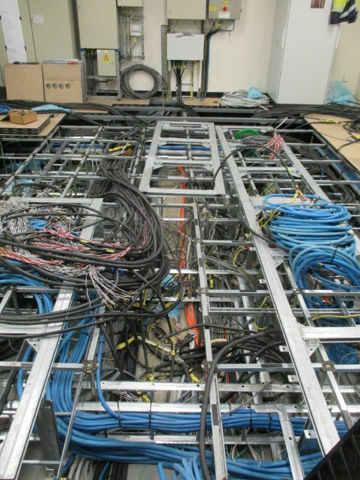 In order to efficiently manage a large amount of field wiring, a well-organized wiring design was necessary. 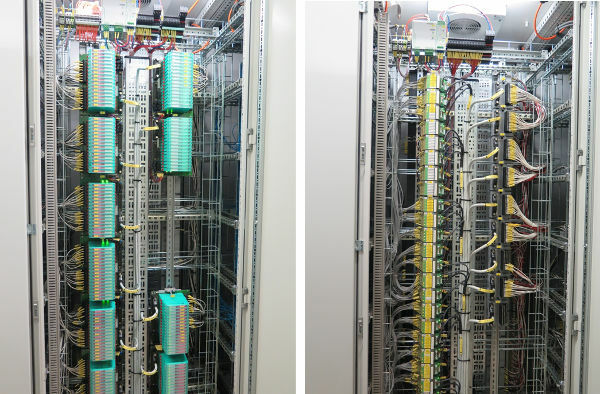 Based on past experience and best practices, the project team created a "backbone/blueprint" field wiring concept, with the backbone portion covering the CENTUM VP FCSs and the Vnet/IP control network and the blueprint portion covering the field wiring and marshalling in the instrument room. In addition, a fail-safe power supply with separate 230 V AC feeders for the system and the field instruments was introduced. Yokogawa also worked with Pepperl+Fuchs to develop a custom terminal board with H-series barriers for the Ex d I/O signals. The benefit of this is that the field and system sections of the terminal board are galvanically isolated, allowing a higher density of channels on each I/O module and rack. In addition the use of the barriers for the Ex d signals supports the same field loop-power blueprint used with the Ex i signals, enabling the supply of power to the field instruments and the system to be clearly segregated. The main challenge was completing the changeover work and testing within the six week turnaround period. The work was carried out based on a carefully prepared plan. With electrical teams working in shifts almost 10,000 individual wires were disconnected and successfully reconnected over a 3 ½ week period, totaling 14hrs per day, 6 days per week. 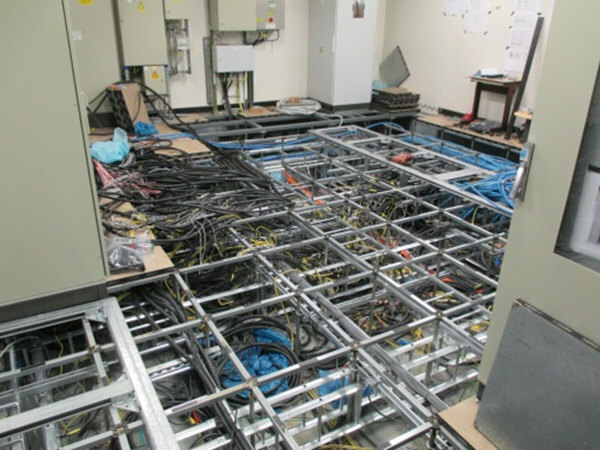 In addition, approximately 50 field multicore cables were lengthened and rerouted in the instrument room. Power to the DCS was only shut off for one week. Over time, many different programmers made changes to the applications software in use at this plant whenever system modifications were required. The introduction of a unified programming standard was required for the updating and optimization of this software as well as the creation of new software. Testing of these programs was done in parallel. The approach taken in this was to use a special tool to split-up larger tasks into well-defined "work packages“. In addition to easing the testing and verification of each package, this made it easier to monitor the progress of this work. Yokogawa application engineers configured and tested these packages one at a time. To the pleasant surprise of the Kuraray team, the application software proved to be error-free, which in turn allowed for a quicker start-up. In addition, Yokogawa’s engineers took the initiative to introduce better programming techniques to the Kuraray team. This included the use of graphical SFC blocks for sequential control and logic charts for interlocking. This not only simplified the software configuration, but also enabled a new live visualization feature that gives plant operators a better overview of the sequences and interlocks. When the second production line was completed in 2004, Yokogawa's PRM platform was introduced to manage approximately 400 FOUNDATION Fieldbus devices. Approximately 10 years later Kuraray added HART devices to this production line. As Yokogawa’s PRM platform supports both technology platforms, this has proven to be a strong enabler, helping Kuraray to meet its asset management requirements. Centralized management of instruments, eliminating the need to go into the field to check devices with a portable terminal. For example, operators in the central control room can conduct the valve stroke tests needed to verify that this equipment will function correctly, for enhanced safety. The only regret of Mr. Hellemans is that not all asset management plug-ins released by instrument vendors are developed to the same high standard. "The Yokogawa lead engineer really helped us move forward, both with applications and hardware." "After some time, the Yokogawa engineers learned to understand our production process, which allowed them to work more efficiently and also more independently, which freed up time for Kuraray. We really appreciate how Yokogawa was able to think together with us to find solutions. I guess this is what you mean with co-innovation." "Another key success factor is the fact that the testing and start-up was done by the same team from Yokogawa that did the programming modifications." "The Yokogawa people went ‘the extra mile’ and were committed to making the project a success. 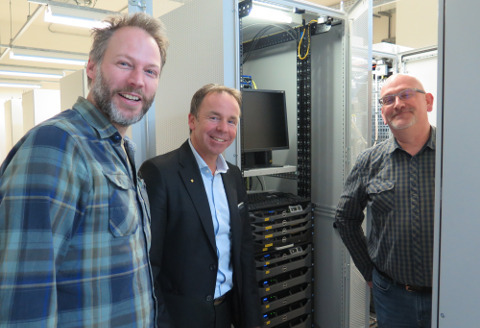 Both the service engineer and the lead engineer helped us to quickly get the DCS system back on-line within a week, and this was done in very difficult conditions. The total project was handled within the foreseen timeframe and budget. Thanks to the well qualified multidisciplinary project team, and the fact that everything was tested in advance, the number of errors was very limited, which also allowed us to save precious time during the turnaround. Finally, I can say that since 1999, the Yokogawa DCS has performed flawlessly, which is remarkable. This is also a good reason why after all these years we have never considered looking at other suppliers!" Our most advanced control system ever, the CENTUM VP DCS enhances productivity and optimizes processes across a wide range of industries.